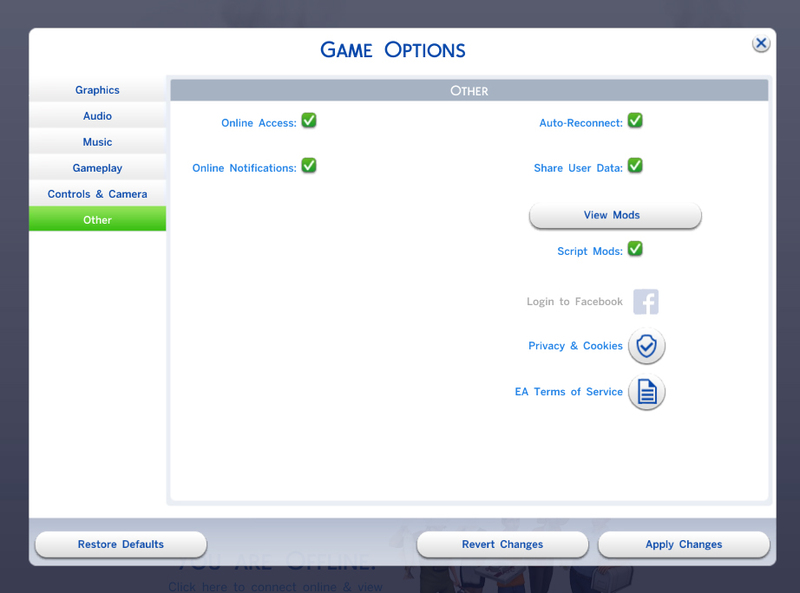 This fix is for TS4 versions 1.12.118.1020 (Nov 3, 2015) and earlier only! 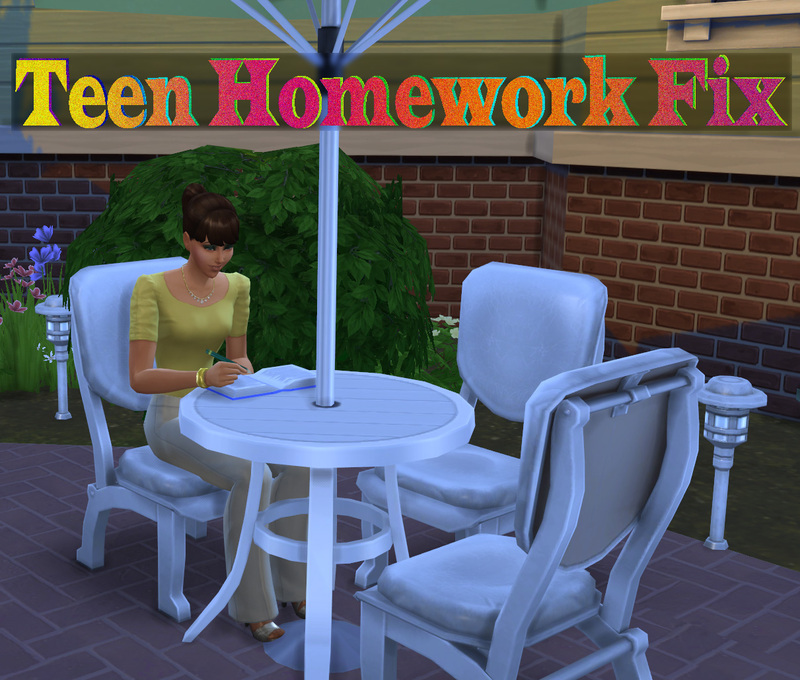 For newer game versions, use the updated Homework Fix mod which fixes this bug for both teen and child sims. Update: The mod has been updated to version 2 for better compatibility with the March 26 game patch. The update doesn't appear to be critical. Be sure to remove the old version if you update. This mod for The Sims 4 will fix the bug in The Sims 4 which causes teens to typically forget to pick up their homework once they have finished. The pick up action may still fail, but will do so with far less frequency. In testing I had teens do homework approximately 50 times (5 teens, 10 times each) and in each instance they picked up their homework and placed it in their inventory, even when cancelling the action or if another action was queued. All other homework actions (children, make-up work and extra credit) already included the proper step of forcing the homework to be picked up and did not require any changes, so this is best classified as a bug fix. This mod requires The Sims 4 to be patched to at least version 1.0.732.20 (October 1, 2014). Version 2 of the mod is for games patch to version 1.5.139.1210 (March 26, 2015) or higher. This may be of interest if you are experiencing a conflict and know how to debug such issues, or if you are creating another mod which changes the teen homework action and wish to incorporate these changes to eliminate conflicts. If you do create another mod using these changes, I would appreciate receiving credit. This modifies the XML interaction resource "S4_E882D22F_00000000_0000000000008FA6 - Book_Homework_Teen" to add the missing continuation and forced outcome required to cause teens to pick up their homework when finished. Big, BIG thanks go to Velocitygrass for the Sims4XmlExtractor and, of course, Kuree and all the others at Sims4Group who have put together the S4PE tool. Use only one of the mod versions available. Make sure the version you use is appropraiate for your game's patch level. TeenHomeworkFix.zip | Description: For games not updated to the March 26 game patch. TeenHomeworkFix_v2.zip | Description: Adds an action for teens to put their homework back in their inventory when finished.